Welcome to Oneonta's premier baking company! 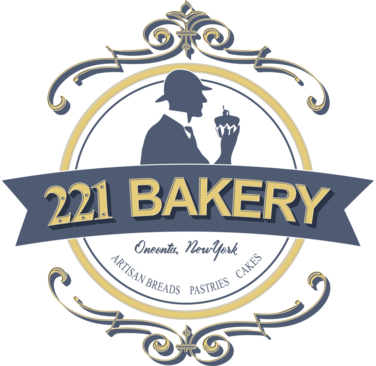 221 Bakery is dedicated to producing artisanal, handmade bread and pastries using traditional baking techniques. We take a lot of pride in using high quality ingredients and use the best of local fruits, honey, and herbs whenever we can. Our pastries and breads are all made from scratch with no preservatives, artificial flavors, or hydrogenated oils, and each product is made with love and care. Owned and operated by Tony and Debbie Annutto, this Farm Stand has been serving the public for over 25 years. Currently open 7 days of the week from 9a.m. to 6p.m., starting March 31st thru December 23rd. We accept cash, local checks, mastercard, Visa, and american Express. We have all your outdoor needs to create a beautiful and hearty landscape, as well as locally grown produce. Come in to visit to see for yourself and enjoy the smells of all the fresh fruits, vegetables and baked goods around every corner. The Autumn Cafe has been serving freshly cooked food and providing quality entertainment in downtown Oneonta, New York since 1980. The specials menu changes with every meal, supplementing a regular menu of sandwiches, omelets, salads, and specialties. Most breads, desserts and all soups are made from start to finish in the cafe's open kitchen. While the fresh seafood, poultry and meat dishes are known for their taste and creativity, the cafe is well known for it's vegetarian entrees. Friends and family love to gather at our traditional and welcoming 300-seat restaurant. Choose from an extensive menu that includes our famous chicken plus ribs, beef, steak, and pulled pork -- enjoy our salad bar or a crisp salad plate, and finish it all off with our homemade desserts. We also offer a kids menu for our littlest visitors, gluten-free options, and special menu items for seniors. At Brooks' House of Bar-B-Q, we make you feel at home! The kind of neighborhood restaurant that inspires people to introduce others to their find. Fiesta was created with that in mind. Great food and drinks at a reasonable price, in a comfortable setting, all made possible with authentic Mexican food and family recipes handed down over the years is what we are all about! Family owned and operated since October 2012! Offering a wide selection of healthy, organic, natural grocery and nutritional supplementation. We also offer bulk grains and spices! Ask about our Frequent Buyer Program. For every $300 you spend, you will receive a $10 coupon off your next purchase! We have 2 community rooms. Speak with a staff member about renting space for classes and special events. Welcome to The Latte Lounge! Oneonta and Cooperstown’s premier coffee house, located on Main Street in Oneonta, New York. If you are visiting Cooperstown, Oneonta, or are just passing through (we’re right off I-88 on Main Street Oneonta), you owe it to yourself to stop in and grab a cup of exceptional coffee. And treat yourself to a Moonstruck Truffle before you leave! The beautiful ‘City of the Hills’ welcomes you. Your favorite local coffee shop now with a drive thru. Ice cream, burgers, and shakes! American diner serving breakfast lunch and dinner. Serving diner favorites, pizza, and more. Dine in take out, delivery available. Family owned, featuring fresh local ingredients, and authentic Italian cuisine, Nina’s is the perfect restaurant to bring the entire family. 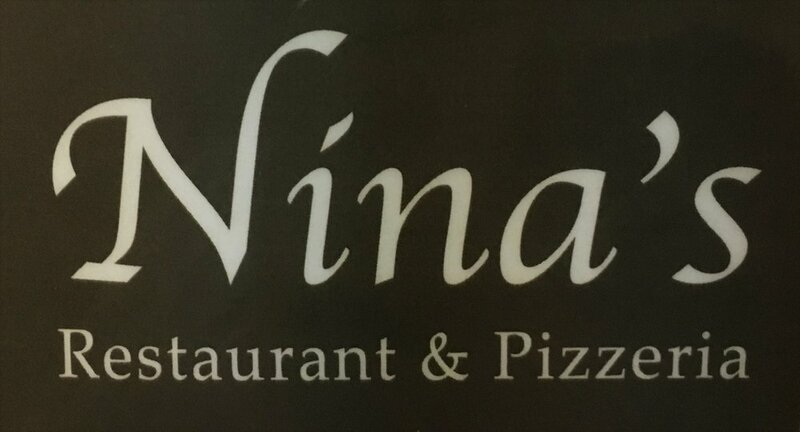 Stop in at Nina’s on Main Street in Oneonta, and try our pizza, pastas, dinner options, or one of our hero's, or stay at home and order online! Visit the Oneonta Farmers' Market to meet the people behind the food. Every Saturday is a meet-your-grower day at the market, where you can find the best in local meats, poultry, fruits, vegetables, and other delicious farm-fresh foods, and ask your farmers about their crops, their growing methods and find our what's in season now. The market is a gathering place for friends and neighbors, a community platform for local non-profit organizations, and a place to hear a free open-air concert every week. Free tastings and activities for kids are regular features of our market, plus a full schedule of special events generously sponsored by local businesses. Outdoor Markets in Muller Plaza May through October. Indoor Markets (Parking Garage Walkway) November through April. Located inside the Holiday Inn Oneonta, this hidden gem, hosts a variety of surprises! Prime Rib every Friday Night!!! Pizza, catering, eat in or take out! Mike Perrucci brings 30 yrs of experience in the pizza & restaurant business back to Oneonta, serving New York Style Pizza and traditional Italian Favorites to please new and old-time customers alike. As the original owner of Gino & Joes, Established at the Southside Mall in 1988, Mike brings authenticity, quality and consistency to our community! Buon Appetito! Growing up watching my mother prepare family meals made me realize how much time it takes to prepare traditional Thai dishes. I remember how my father so enjoyed her meals, always carefully prepared with great attention to detail. He would choose her cooking over dining out on any given day! My mother never took shortcuts, and spent hours and hours in her kitchen making sure that everything was “Just Right”. No ingredient was left out, and every dish was perfectly seasoned. Simply Thai has been created with these same principles in mind. We select fresh produce, utilize genuine ingredients and follow traditional Thai recipes as best as possible in order to maintain authenticity. Seasonal fare is also incorporated to allow us to show imagination and tradition side by side. We are pleased to add a new ethnic cuisine to the dining landscape of Oneonta, where people appreciate the variety of cuisines offered and the increases international presence within the community. The staff and I here at Simply Thai have one primary goal, and that is to ensure you have the most pleasurable dining experience with us. The finest homemade baked goods available wholesale through Theresa's Emporium. Are you in need of a cake, cupcakes, or cookies for a special occasion, or maybe just because? Call Sweet Bee's today for the finest gourmet baked goods available in Oneonta, NY. A trip to the Depot has been a Oneonta tradition since the first trains began rolling through more than a century ago. The Oneonta Depot was the place to assemble for a ride to other destinations. But, in 1972, it became the destination itself! It was then that the Depot was reinvented as a restaurant and tavern and a new Oneonta tradition began. The Depot has always been locally famous for its burgers, pizza, and wings, "garbage" wings that is, but in recent years an emphasis on a more elegant dining experience has provided customers with a range of lunch and dinner options that are unrivaled in the area. Sampling a flight of the Depot’s impressive selection of beers has become a “must” for the serious brew aficionado, as well as those who are simply interested in the discovery of new favorites. From a single serving of their award-winning Garbage Wings to a stylish banquet reception for 100, the Depot Restaurant and Tavern is the destination in Oneonta. Every Tuesday since November 3, 2015 we have featured a brand new menu with various regional specialties including: Mediterranean, Malay, Indian, French, Thai, Persian, Russian, Vietnamese, and many more. Over time, we have expanded to a constantly changing tapas schedule featuring a new dinner menu every Tuesday and Thursday, and every Friday and Saturday. Come get some delicious food from Wise Guys new location in downtown Oneonta. We do Hot Sandwiches, Cold Subs, Burgers, Salads, and other custom creations! Ask about our Specialty Sandwiches such as: Mikes Big “Fn” Sandwich that comes with a 1/2lb of Hot Roast Beef and melted Provolone Cheese or the “Chuck Norris” with Chicken Cutlets, Hot Peppers, Pepper Jack Cheese, Lettuce, & House Buffalo Sauce.